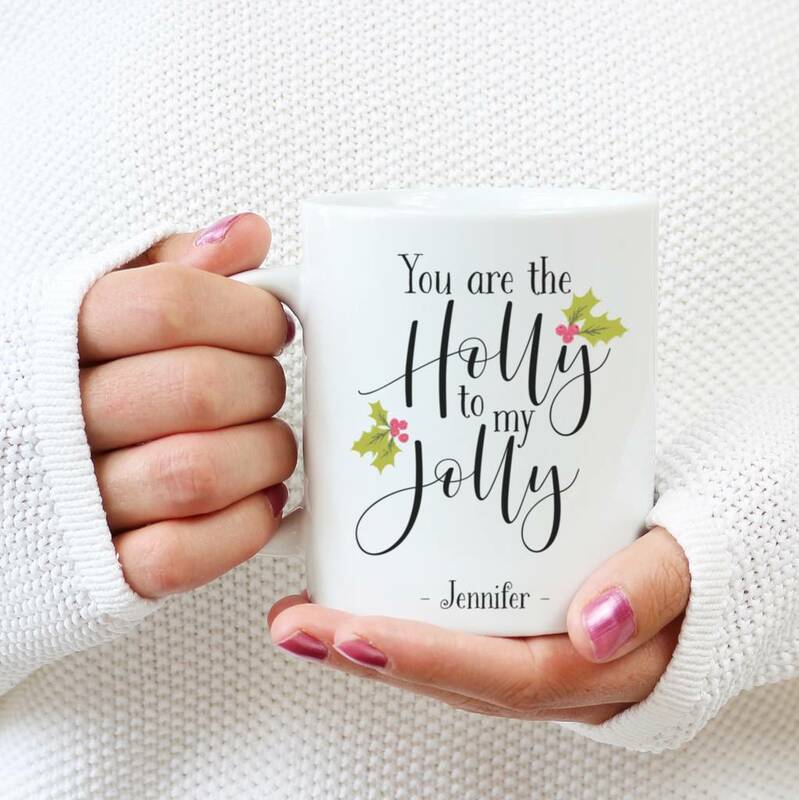 Make Christmas extra special with this personalised 'You are the holly to my jolly' ceramic mug. Featuring a hand lettered design and decorative hand drawn Holly. 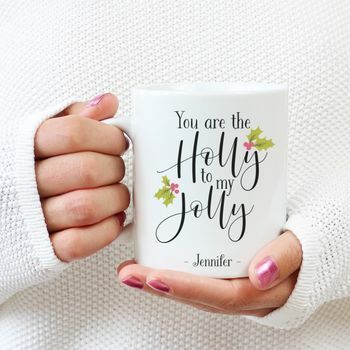 This beautiful typography mug is perfect for couples or even friends of all ages. Printed with care and wrapped in tissue paper and packed in a gift box. This mug is personalised with the name of your choice.